While Q1 saw gold beginning to climb from the lows it experienced throughout most of 2018, the yellow metal only made small gains, increasing just under 1 percent in the first quarter of 2019. However, despite a slow rebound, many junior gold companies managed to make progress at their assets. 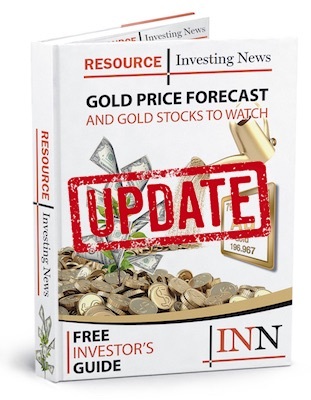 Now that Q1 has come to a close, the Investing News Network has rounded up the best junior gold stocks on the TSXV that have seen the biggest share price gains year-to-date. The list below was generated on April 10, 2019, using TradingView’s stock screener. All companies listed had market caps above C$10 million at that time. Focused on gold and base metals, Amex Exploration owns the Perron gold and base metals project, the Eastmain River gold properties and the Lebel-sur-Quévillon gold project. The company also holds an option to acquire 100 percent of the Gowan polymetallic property. On February 21, the miner completed a non-brokered private placement deal for US$5,442,875 and took on Eric Sprott as an investor. Sprott acquired 4 million units in the deal for a total of US$3 million. At the end of the quarter, the miner intersected high-grade gold mineralization in step out holes completed at Perron’s eastern gold zone. Drilling is ongoing at the property. Goldsource Mines is currently in the proof of concept phase at its Eagle Mountain gold project, located in Guyana. The miner’s immediate focus is to drill to a minimum of 600,000 ounces of gold, grading 1 to 1.5 grams per tonne, via expansion and infill drilling, with two core rigs purchased and currently active. On January 17, Goldsource announced that it had raised C$1,300,000 through a non-brokered private placement. Proceeds from the deal will be used to further expand the Eagle Mountain resource, as well as for prefeasibility study costs and general corporate purposes. At the beginning of March, the company reported that it had expanded its Salbora discovery, drilling 49.5 meters grading 2.9 grams per tonne gold and 39 meters grading 2.78 grams per tonne gold. KORE Mining is focused on properties in North America. It holds the development stage Imperial and Long Valley gold projects in California and the BC-based FG gold and Gold Creek assets, which are at the exploration stage. Right before the first quarter began, KORE announced fire assay results from all four holes of Phase 1 drilling completed in 2018 on the Gold Creek gold exploration project. Ximen Mining is based in BC, where its land package covers one of the largest gold-bearing epithermal systems in the south of the province. The company describes the system as advanced and says that it includes multiple high-grade targets. At the beginning of March, the miner arranged a non-brokered private placement financing for gross proceeds of C$405,000. Just outside Q1, Ximen acquired a 12,900 hectare land package in BC via direct purchase and additional staking. The asset is comprised of 17 mineral tenures and surrounds the Gold Drop property, which is currently under an option agreement to Goldcorp (TSX:G,NYSE:GG). The property also adjoins a large area of land to the south and east that is being explored by Kinross Gold (TSX:K,NYSE:KGC). Scottie Resources is involved in BC’s Golden Triangle, where it owns the past-producing Scottie gold mine along with other additional assets. On January 25, the miner received TSX Venture Exchange approval for an option agreement to acquire the 471.92 hectare Bow property from Decade Resources (TSXV:DEC) for US$1 million. Additionally, at the beginning of March, Scottie entered into an option agreement to acquire the Bitter Creek property. Bitter Creek joins the company’s Ruby silver property and its Black Hills property in the Golden Triangle, creating a contiguous land package in excess of 10,000 hectares.